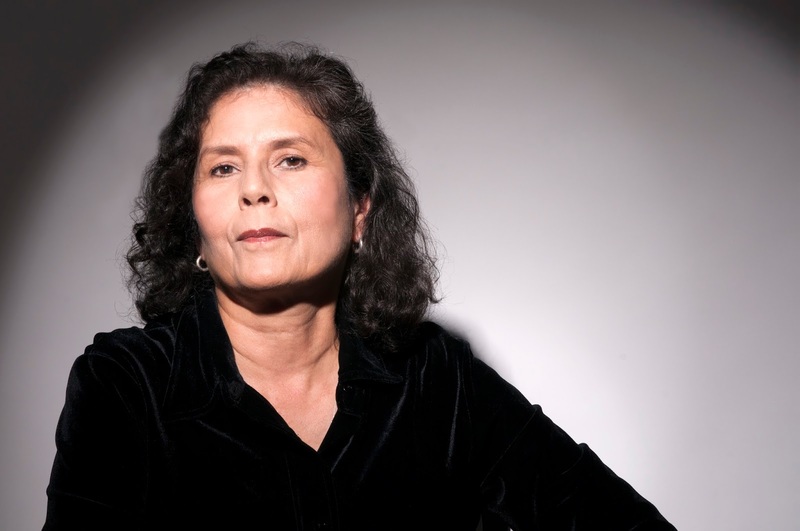 For over 30 years, Monica Palacios has been an important as well as hilarious voice on the comedic stage. She was the first “out” Chicana lesbian comic to perform on stage in San Francisco (circa 1982). 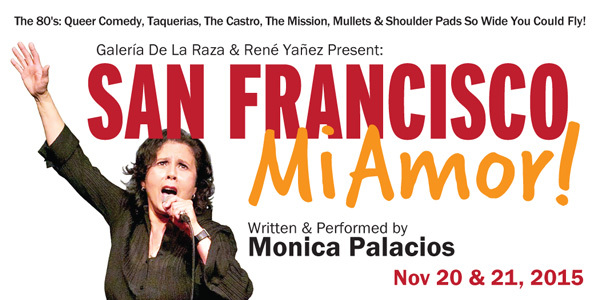 She is returning to San Francisco this month to perform her new show, “San Francisco, Mi Amor!” at the Galería De La Raza on 24th Street, November 20th and 21st at 8p.m. 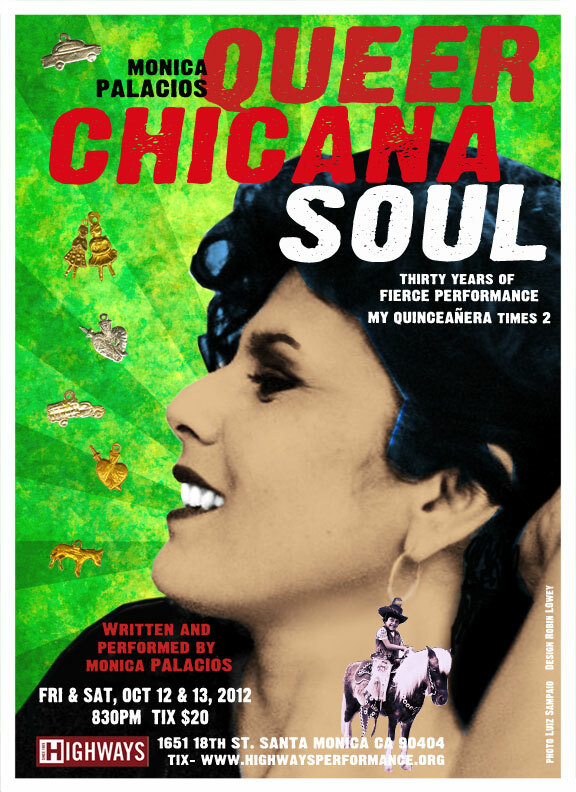 La Bloga is fortunate to have the critically acclaimed Chicana lesbian writer and performer, Monica Palacios, with us today. Thanks so much for being with us today, Monica! Tell us about your new show, “San Francisco, Mi Amor!” What’s in store for us? It is my great pleasure to be on La Bloga. 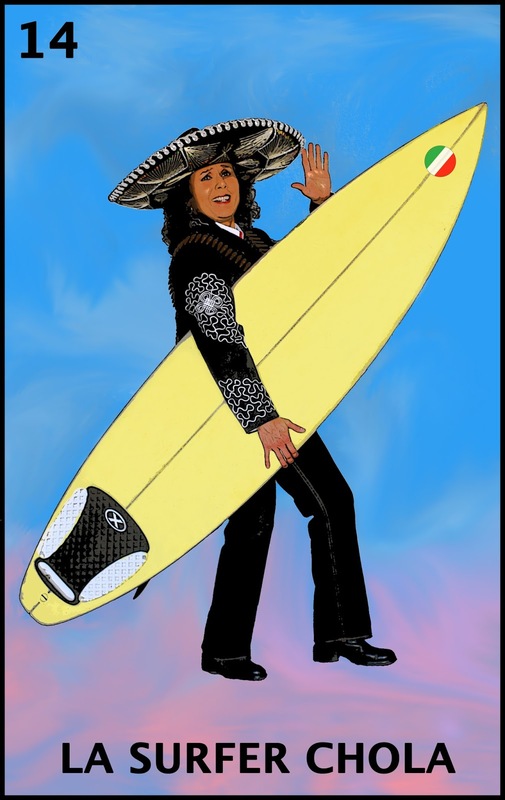 This new show that will be presented on November 20th and 21st at the Galeria De La Raza will be a comedic and dramatic look back at my stand up comedy life during its early years: 1982-1986. Gay comedy, as it was called back then was born at the Valencia Rose Cabaret, the first gay comedy club in the nation. I zero in on this venue because I performed there on a regular basis allowing my name and reputation to float around and get noticed. I talk about being a film student at San Francisco State and how being a student allowed me to study comedians as I would hang out at the comedy clubs—taking notes because I knew, one day, I was going to step on a stage. I share my adventures about me and my lesbian sister, Eleanor, who I was living with in Oakland at the time. I talk about co-founding the comedy troupe, Culture Clash, meeting Edward James Olmos on 24th street which leads to a Hollywood audition, performing comedy during the AIDS crisis, trying to pick up chicks at taquerias—and other life-changing experiences. You are returning, as you say, to the “birthplace of your comedy career.” Tell us a little more about your comedy history. My comedy history goes back before I was born. Both of my parents were very funny in their own right. My father was more the clown where as my mother had a sharp tongue. It's ironic because my first ten years of life, I was extremely shy but then in the 6th grade I became a smart aleck--I'm pretty sure it was the hormones and the vodka in my Cheerios. By high school, I was outright performing sketches with my friends for class assemblies. I did a stand up comedy routine for my English class and I knew at that moment that I wanted to be a stand up comic but as an underage teenager, I couldn't figure out how to get to the comedy clubs. So I just nurtured that possibility in the back of my head and soaked up all the comedy I could absorb from the excellent television shows that were happening during the 70s. My little brother and I were always acting like we were on stage mimicking what we saw on television or making up our own talk shows. When I got into college, I started taking classes that supported my comedy chops and it definitely helped that I was living with my lesbian sister Eleanor who I think is the funniest person I know. I finally started going to San Francisco comedy clubs by myself and I would sit and watch these comics for hours and would always conclude--I'm funnier. Finally I couldn't take it anymore and I got myself onto an open mic night at The Other Cafe Comedy Club and I did a solid job. Hooked, I started performing at other mainstream clubs in San Francisco until I found The Valencia Rose Cabaret, a gay comedy club. This club truly kicked off my career as a lesbian performer. And since then, how has the comedy scene changed for female comics, specifically queer women of color comics? Right now what I believe is happening is--there are more women in general who are performing comedy, as stand ups, television shows, films. When I first started going to the clubs in the early 80s, there weren't that many female comics. It was definitely a man's profession. The women who were doing daring unapologetic bold material were all the lesbian comics who came out of the Valencia Rose Cabaret: myself, Marga Gomez, Lea DeLaria, Karen Ripley, Susie Berger, Linda Moakes and Laurie Bushman. We were doing our queer lesbian empowering performances long before Ellen DeGeneres came out. And yes there are more women of color and queer women of color doing their comedy thing, but there are still waaaaay more men. Who are the comics who have most influenced you and who have been your greatest supporters along the way? My true role models of comedy would have to be my family members. Everybody in my family is funny. As a child I was able to be the audience for my four older siblings who would do some kind of performing on a daily basis and I would watch with great enthusiasm. My father was a self-taught musician and performer and he and my mother would entertain at our house with singing and comedic storytelling--mostly in Spanish. My entire childhood and teenage years were surrounded by this performance element. My family continues to be my biggest supporters of my comedy career and definitely my Facebook familia. We all wish you a fabulous return to the San Francisco stage, Monica. Is there anything else you’d like to share with our La Bloga readers? If you can make my show, I will love you forever. If you can’t, please tell your peeps. This show is very special because I’m reuniting with the Galeria De La Raza and Rene Yañez—two producers who were integral and supportive of my early career in San Francisco. And it’s a time in my life and it’s a time in queer history that was very revolutionary—LGBT comics were out on stage despite the super homophobic atmosphere due to the AIDS crisis. I will be showing some historical and hilarious images of this time period that have not been seen since the 1980s. So important! Thank you, Monica. Time for all of us to head on over to San Francisco and get a seat at the Galeria De La Raza on November 20th and 21st at 8p.m.! Don't miss this!